Individual labor unions, like any organized constituency, sometimes have interests that conflict with the greater public’s. But these conflicts do not render organized labor — as a whole — a “special interest group” like any other. 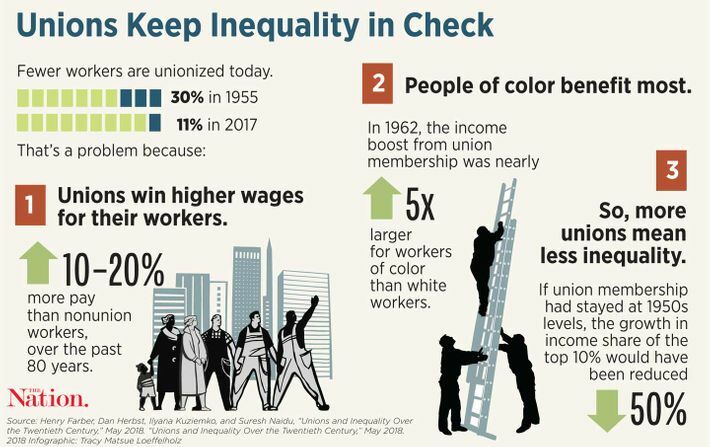 While certain unions may be an obstacle to the greater good on discrete issues, they are collectively a uniquely effective vehicle for realizing that good on the issues that matter most to working people.